Low in calories and high in vitamins, spinach is a winter superfood. Spinach has an extremely high nutritional value and is rich in antioxidants. It is a good source of vitamins A, B2, C and K, and also contains magnesium, manganese, folate, iron, calcium and potassium. 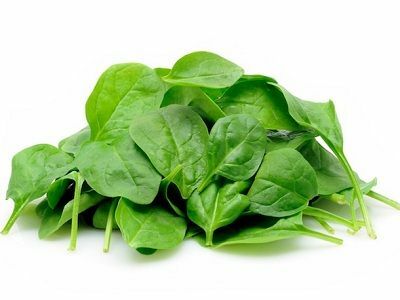 Read the following surprising facts about the health benefits of spinach. A recent study shows that peptides within spinach is effectively lower blood pressure by inhibiting the angiotensin converting enzyme, as well as magnesium, a mineral that helps to lower high blood pressure. There are more than a dozen different flavonoid compounds and antioxidants in spinach and these are powerful anti-inflammatory and anti-cancer fighting agents, particularly the antioxidant beta-carotene, have been shown in multiple studies to help combat many cancers, including breast, prostate and ovarian cancer. Furthermore, inflammation plays a detrimental role in causing a variety of disease processes. The flavonoid and carotenoid content have anti-inflammatory substances and are plentiful in the leaves of the spinach plant. Vitamin K is important for maintaining bone health. Fortunately, spinach contains 200 percent of the daily value in just one cup of fresh spinach leaves. One cup of boiled spinach provides over 1000% of the RDA of vitamin K, this along with the calcium and magnesium in spinach is essential to maintain healthy bones. Both antioxidants lutein and zeaxanthin are especially plentiful in spinach, which makes it a particularly important food for the promotion of healthy eyesight and the prevention of cataracts and macular degeneration. There is some indication that it might be absorbed better if you eat it with a little fat, such as a small amount of olive oil. Everyone talks about the benefits of spinach in nourishing the eyes and building bones. What few know is that it also very good for digestion. Spinach is a healthy way to improve your digestive system. The high fiber content in spinach makes it a remarkable intestinal tract scrubber. Since waste is being removed from the large intestine faster, constipation symptoms are alleviated. Fiber also alleviates diarrhea by absorbing excess water in the large intestine. Our skin needs certain nutrients for maintaining its health. Green leafy vegetables are great for skin and spinach is no exception. Try a glass of spinach juice every day. Loaded with most useful vitamins like Vitamin A, vitamin C, vitamin E and vital minerals as well as high in antioxidants, spinach helps keep your skin supple and well hydrated.